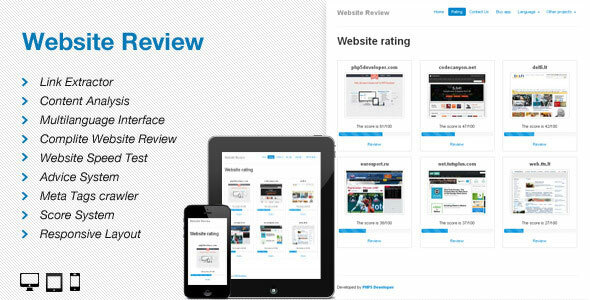 Website Review is a seo tool which will help you analyse your web page. This app provide a full informsation about links, meta tags of chosen domain. In addition you will see personal advices how to optimize your HTML.